A Voice To Be Heard is not a systematic economic, theological or historical analysis of Christian entrepreneurship, although it contains a number of economic, theological and historical observations. Instead, it comprises ordered reflections on Christian entrepreneurship based around the stories and thoughts of 50 contemporary Christian entrepreneurs interviewed by the authors. The authors are the well-known Director of Faith in Business at Ridley Hall, Cambridge, Richard Higginson, and the rather less well-known Zambian entrepreneur, Kina Robertshaw. They say that the book is “for actual entrepreneurs, aspiring entrepreneurs and anyone who wants to know more about them” (page xvi) but they are being unduly modest in their expectation: the book provides food for thought for all Christians and, since it is readable, interesting and important, it deserves to widely read. It begins with pen portraits of five Christians involved in business and uses their stories to clarify what the authors mean by the term “Christian entrepreneur”. They are not referring to “entrepreneurs who happen to be Christian” but rather to “Christians who see their companies as an outworking of their faith” (page 13). 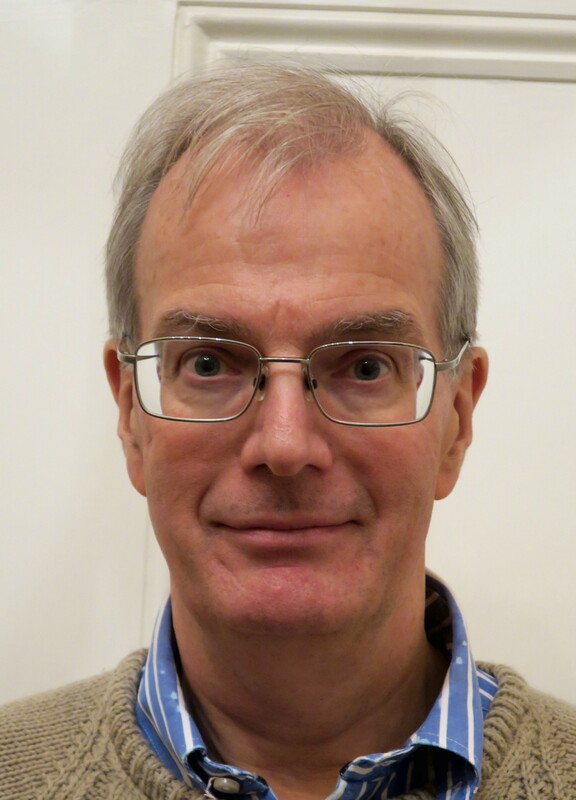 The authors then provide some brief comments on what the Bible has to say about entrepreneurship, attitudes to entrepreneurship in the UK today and the history of Christian entrepreneurship in the UK. This part of the book comprises less than 50 pages, so it is not an in-depth study. However, it is useful in framing the discussion that follows. The heart of the book comprises an examination of a series of issues that are of particular relevance to entrepreneurs the idea of a calling to business; the question whether business may contribute to the advance of God’s Kingdom; vision and purpose; risk taking; relationships; stewardship; integrity; prayer; and perseverance. Each section combines the stories and views of those who have been interviewed with the reflections of the authors. Fortunately, the authors have resisted the temptation to provide statistical analysis of the answers to their interview questions or to include the answers of all of their respondents to every question. They have been selective in their quotes and used them to set up a dialogue on particular issues in which they have then inserted their own thoughts. The result is that business issues are brought to life by means of stories and the related theological and ethical issues are clearly laid out. The authors are clearly reluctant overtly to criticise those they interviewed. However, the methodology used invites the reader to evaluate what is said and the authors gently correct some views and challenge others, perhaps recognising that they should not expect those they have interviewed to be as successful as theologians as they obviously are as business people! The most interesting part of the book is that which considers the answers that the authors received to the question “Do you see your working business as contributing to the advance of God’s Kingdom?” They tell us that the answer “was a resounding yes” (page 77) but that the answers to the follow-up question – “If so, how?”, varied hugely. Some of the entrepreneurs focussed on their belief that they are contributing to making the world a better place, some on the way in which their companies are run (i.e. the embodying of Christian values), others on the opportunities to witness provided by their businesses and still others on the opportunity to give to charitable and Christian causes. The authors suggest that the Kingdom of God is being advanced in each of these four ways and urge entrepreneurs to have “a broad view of God’s Kingdom rather than a narrow one” and “to embrace all these different categories in a holistic understanding rather than limit themselves to only one” (page 89). This is surely right: we are called on to serve God not in spite of our work or even simply in addition to it but in it and through it (see Colossians 3:23). The authors issue an equally big challenge to the Church as a whole. This arises from the answers to the question “How do you view the attitude of the church towards you? Negative or positive?” (page 189). A mere 20% of the answers were positive and a further 30% were broadly neutral. The rest of the answers were negative, a result that demonstrates that, despite progress in recent years, Christians who have been called into business are often “made to feel like second-class citizens in God’s Kingdom” (to quote Jeff Van Duzer, in Why Business Matters to God). Many of the entrepreneurs interviewed “often feel appreciated only for the financial support they are potentially able to provide” (page 194) and there is very little evidence of positive support being provided to Christians in business. Of course, some of the apparent problems may be a matter of perception and it may also be that people in churches naturally offer support to those who appear obviously in need of it (perhaps even emotionally fragile), overlooking entrepreneurs since they are the kind of people who appear self-sufficient. However, the Church needs to do better and the authors suggest that there are six things that the local Church ought to do: to listen; to give entrepreneurs a voice in the Church; to pray; to make biblical teaching more relevant; to be open to the fact that God might seriously be calling people beyond the confines of the Church and to recognise that entrepreneurs may have a significant role to play in Church leadership. These are all points that deserve proper consideration and action. Overall, the book is broad rather than deep in its analysis: there are many books that examine the relevant history and underlying theology and ethical issues in greater detail and libraries could be filled with weighty tomes examining the economics relevant to entrepreneurship. Furthermore, the book does not have incisive new insights for those who have already looked at the theory in detail. However, these comments are not criticisms: they merely indicate the nature of the book. It focusses on the practicalities and real-life issues faced by Christian entrepreneurs and it does not merely look at the easy bits: bankruptcy and difficult issues relating to integrity are addressed in an honest manner. Of course, there are things that many would take issue with (e.g. the suggestion that God resembles an entrepreneur in having “a willingness to take risks”, page 28) and some parts of the book are weaker than than others (e.g. the chapter on prayer is of a very general nature and has little that is specific to entrepreneurs). However, these points are minor quibbles: the book is well worth reading. 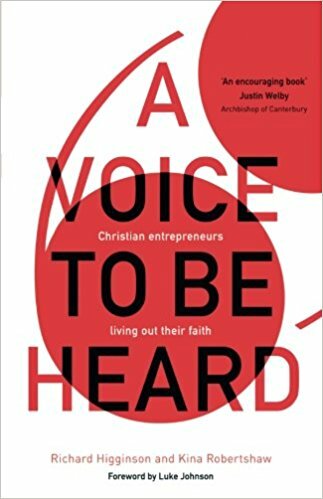 “A Voice To Be Heard Christian Entrepreneurs Living Out Their Faith” was published in 2017 by Inter-Varsity Press (ISBN: 10: 1783595655); 208 pp.